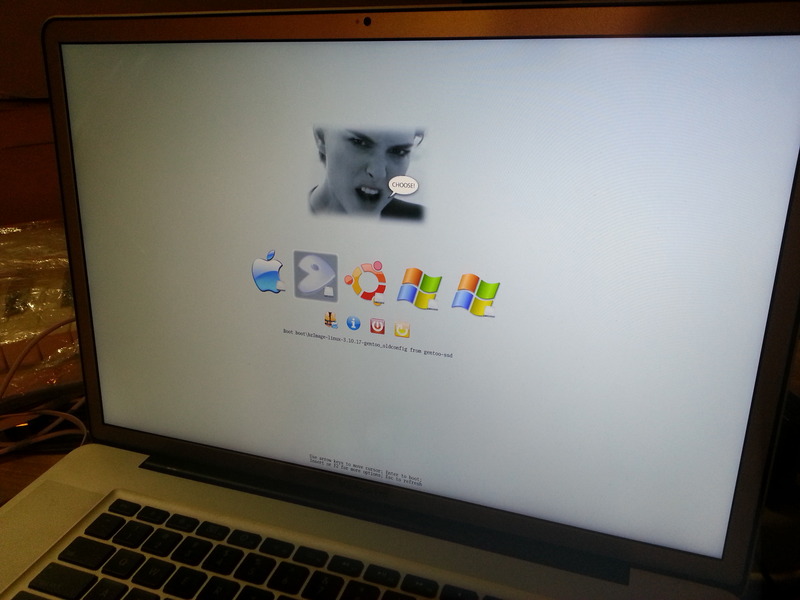 deleted my partition table during a fit of aggressive frustration. That was useful! 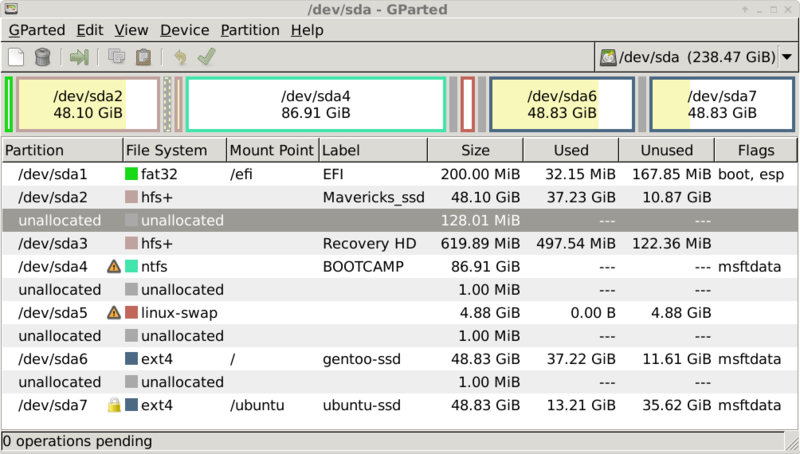 Fortunately I had gparted up and running when I did it, so with a litle math, I was able to rebuild the partition using sfdisk (also sgdisk and gdisk and … but sfdisk instructions here were clear). Reinstall refind, and actually follow the instructions to put the boot driver in the specified place. Make the call and reinstall OSes as needed. Ubuntu was fairly painless to reinstall on top of existing install, now that I have great notes on setting it up, and I am getting pretty good at saving my configurations. Remember to keep config files pushed to repo as you change them! Down to three OSes now, ubuntu, windows, OS X.
I just updated my Macbook Pro, removing the Super Drive and adding an SSD, following this awesome, concise and precise video. It was as good a time as any to refresh everything.